Ringerdingding missed a start in the Doncaster Mile but has taken out the Carbine Club Stakes. Talented colt Ringerdingding has finally lived up to his ability at his fifth start for trainer Chris Waller, winning the Group Three Carbine Club Stakes at Randwick after missing a start in the Doncaster as an emergency. 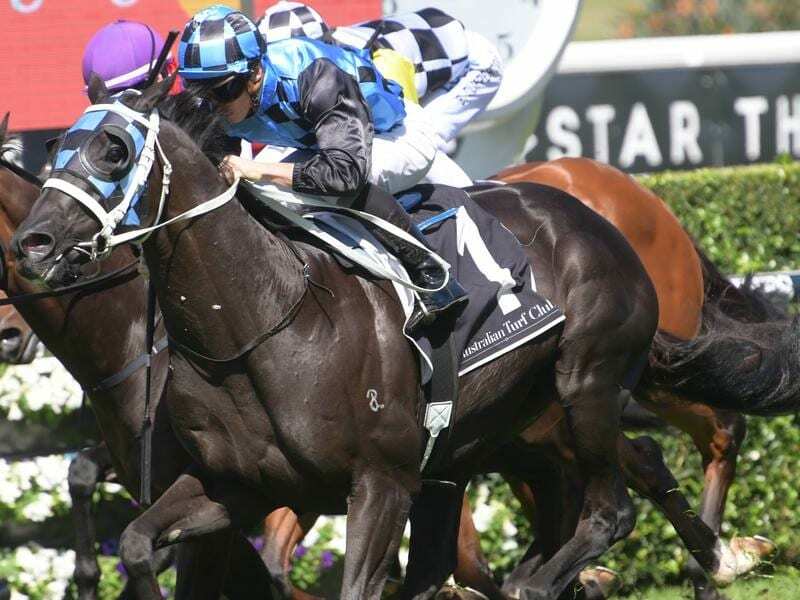 Formerly trained by Ed O’Rourke and then Darren Weir, the colt has found a home with Waller following the latter’s disqualification earlier this year. Under Weir, Ringerdingding won three races including the Group Two Sandown Guineas in November but has had little luck in his previous four starts for Waller including unplaced efforts behind stars Alizee, Mystic Journey and Winx. “Unfortunately he didn’t get to the Doncaster,” Waller said. Ridden by James McDonald, Ringerdingding ($3.10) was the 59kg topweight in Saturday’s 1600m-race and jumped from barrier one. He settled midfield and made a late surge to put half a neck on Shuffle Up ($61) with favourite Dealmaker ($2.80) another half length third. “He was able to race a little bit closer, which told late.,” McDonald said. “He’s a very good horse on his day and he overcame a few obstacles today which was good to see. There were few hard luck stories in the race apart from several jockeys saying their mounts struggled on the rain-affected track.